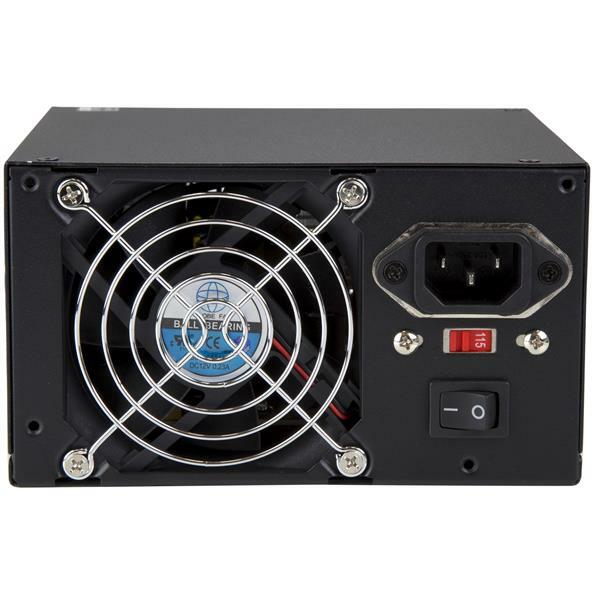 This 400 Watt ATX12V 2.01 power supply offers a professional-grade PC power solution, with support for modern AMD and Intel-based dual-core CPU designs as well as PCI Express and SATA device connections. 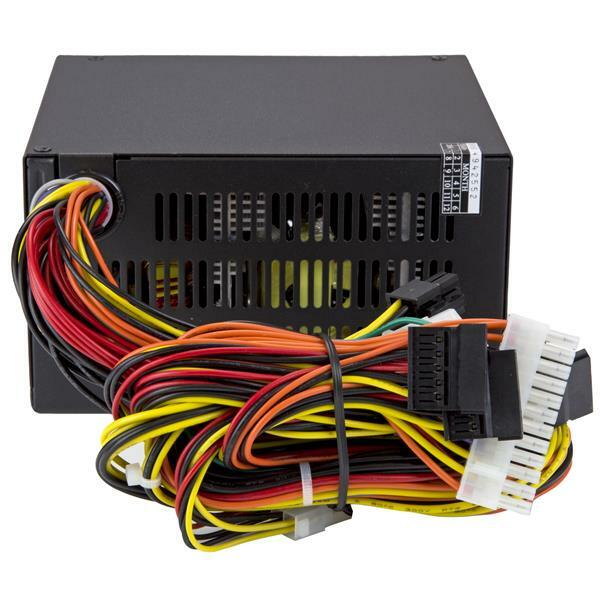 Compliant with ATX12V 2.01 revision standards, the power supply offers dual 12V power rails and ensures broad compatibility with a 20/24 pin motherboard connection. 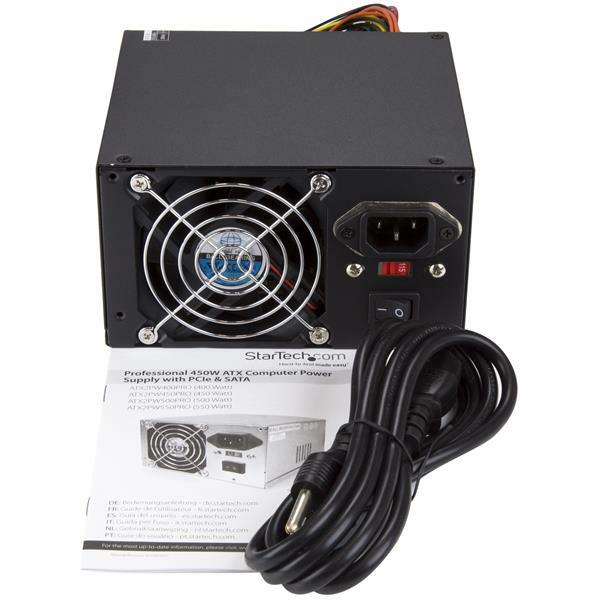 Designed to provide dependable, long-lasting power to your hard working AMD or Intel CPU based system, the 400 Watt power supply features an 80mm dual ball bearing fan to help keep the PSU cool. To ensure stable power delivery to the most demanding devices, the power supply features Quad+1 protection against short-circuit, over-power, over-voltage and no-load situations. 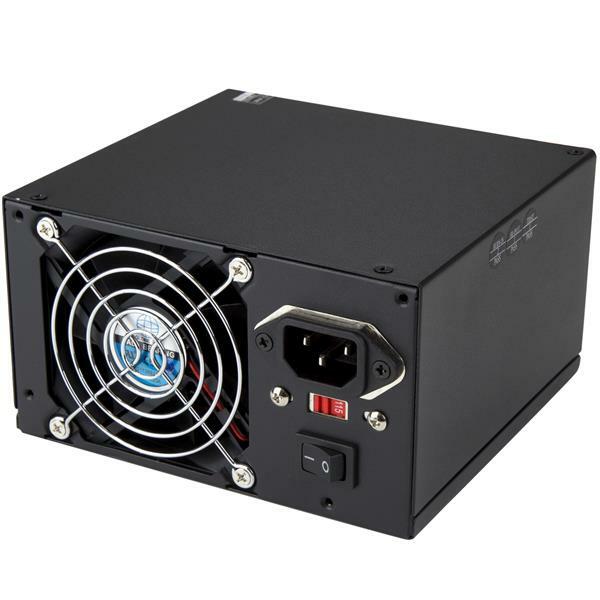 This high quality, professional-grade ATX12V 400W power supply is backed by StarTech.com's 3 year warranty and free lifetime technical support. 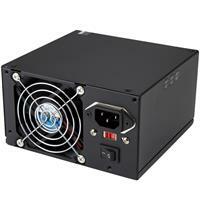 Compatible with many single/multi-core Intel or AMD ATX12V 2.01 compatible systems and full sized ATX cases. How can I tell if this power supply will work in my computer? There are a few factors to look at when deciding on an appropriate power supply for your computer. These will be outlined below. The power supply that you choose should be able to output enough power for all of your components, even under a very high load. The power output of power supplies can range from 200 to 1800 watts (for very high end products), but the most common power supply outputs are 300 to 500 watts. It is recommended to replace a power supply with one that can output at least the same amount of power. Your video card may also require one or two PCI Express Power 6 or 8 pin connectors. Check your computer to see which connections, and how many of each you need. 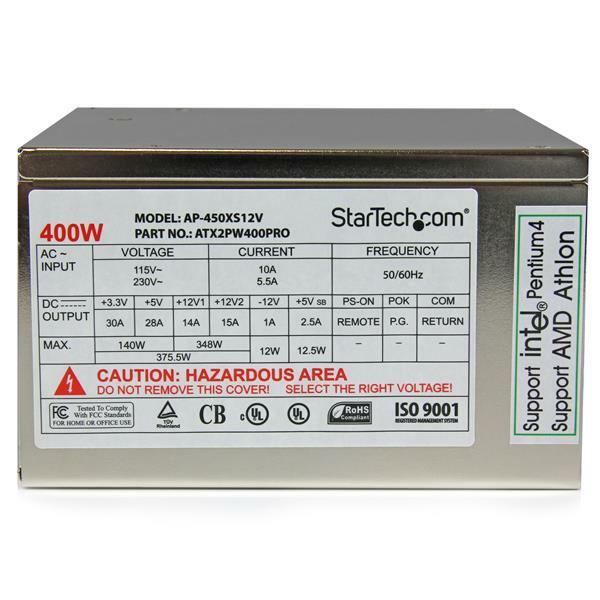 StarTech.com lists which connections a power supply provides on each product page under the Technical Specifications tab.